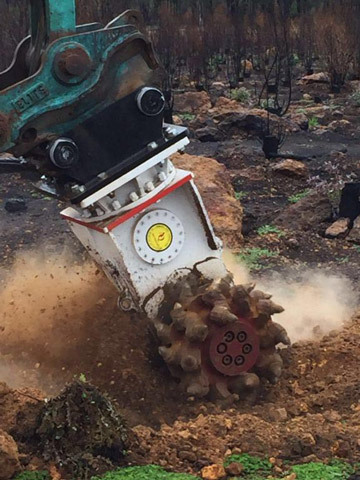 When you need reliable excavator and plant attachments and accessories across Western Australia, get in touch with the team at SSE Plant Hire.  Welcome to SSE Plant Hire, your only call of port when considering specialised excavator and plant attachments and accessories in Western Australia. 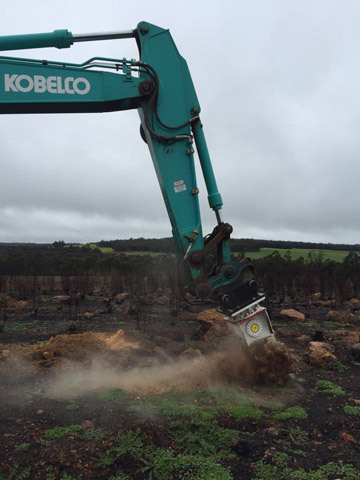 SSE Plant Hire supply wet and dry hire solutions to a range of locations including Perth, Rockingham, Joondalup, Mandurah, Freemantle and surrounds. 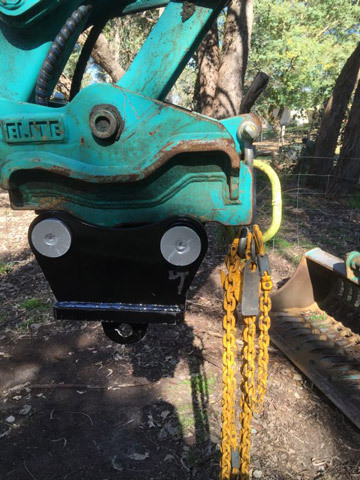 Pole Grab Attachments available for up to 3.5 tonne excavators. The pole grab attachment is mainly used for the removal as well as installation of poles, with the high strength jaws ensure a positive grip on the pole for safe removal without compromise. Not sure if this is the item you are looking for?  Ask an expert: 08 9468 7140. Our pallet fork attachment design allows for flexibility with your tracked loader on site. 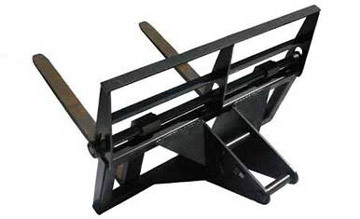 The heavy-duty construction of the pallet forks and precision mounting plate make for a well-rounded attachment. 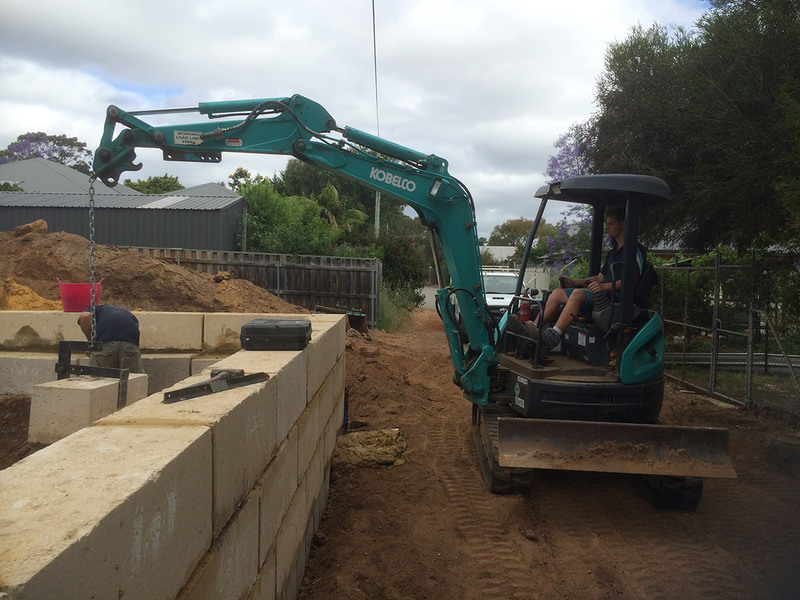 Suitable for our excavator hire, backhoe hire, tracked loader hire and skid steer hire. 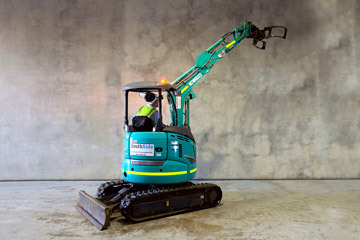 Call our team today to discuss your plant attachment hire needs. 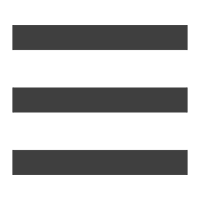 Please note hydraulic power rating should not be exceeded. Not sure if this is the item you are looking for? Ask one of our experts on 08 9468 7140. SSE Plant HireSouthside Enterprises supply - in conjunction with our excavator hire or separately - a rotary rock and concrete cutter. The AQ1 model is currently available for hire and would suit a 2 tonne digger to 8 tonne excavator. 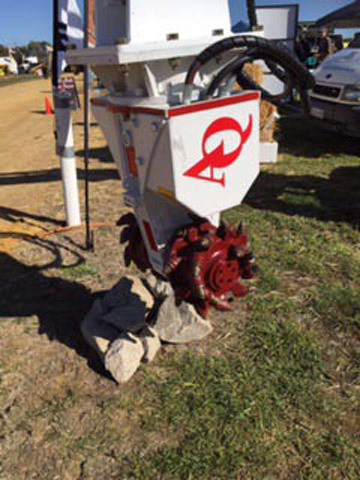 The AQ-1 hydraulic drum cutter head is a proven compact transverse model designed for small excavators and carriers. This machine offers an impressive amount of power and exceptional productivity when mounted on excavators in the 2 – 8 tonne size class. 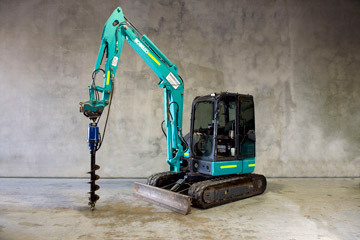 SSE Plant Hire offers hydraulic hammers and rock breaker attachment hire to be used in conjunction with an excavator. Our rock breakers and hydraulic hammers for hire are perfect for any road construction projects, smaller trenching and demolition jobs, building renovations, landscaping works and more. 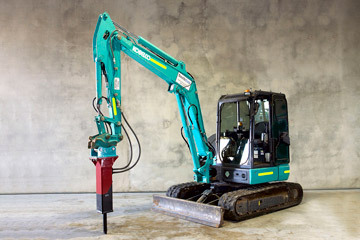 SSE Plant Hire rock breakers are Chicago Pneumatic RX3 & RX4 models which are a powerful and effective demolition tool. 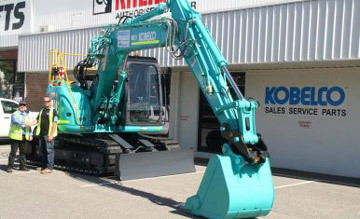 Suitable for 2.8 tonne - 5.5 tonne excavators. We also have rock breakers for mini 1.7 tonne excavators. SSE Plant Hire rock breakers are set up to fit the make and model excavators that we stock and are generally not compatible with other excavator brands. But we can always make adjusts to ensure it fits your excavator or track loader! Sometimes we all come across a job that’s just too big to move by hand. Our block lifter attachment is the perfect piece of equipment for picking up and moving around big heavy limestone blocks. Whether you’re dealing with heavy or awkward materials on a construction site or in a private residence or your own backyard, it would be a good idea to make the job a little easier and in the end, less physically straining and stressful for the person doing the job. Secondly, you will most definitely finish the job quicker and being productive same time and money. 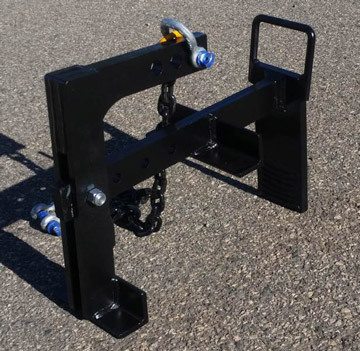 Consider hiring one of our block lifter attachments the next time your job requires moving heavy, awkward and oversized materials or equipment. We have quality chains and lifting lugs available for hire in various sizes. Call our team of earth moving experts to discuss your project specifications on 08 9468 7140. SSE Plant Hire offers excavator buckets in a large range of sizes and types including GP excavator bucket, gummy excavator bucket, rake excavator bucket, batter excavator bucket and more! All our excavators also come with standard 3 x buckets. 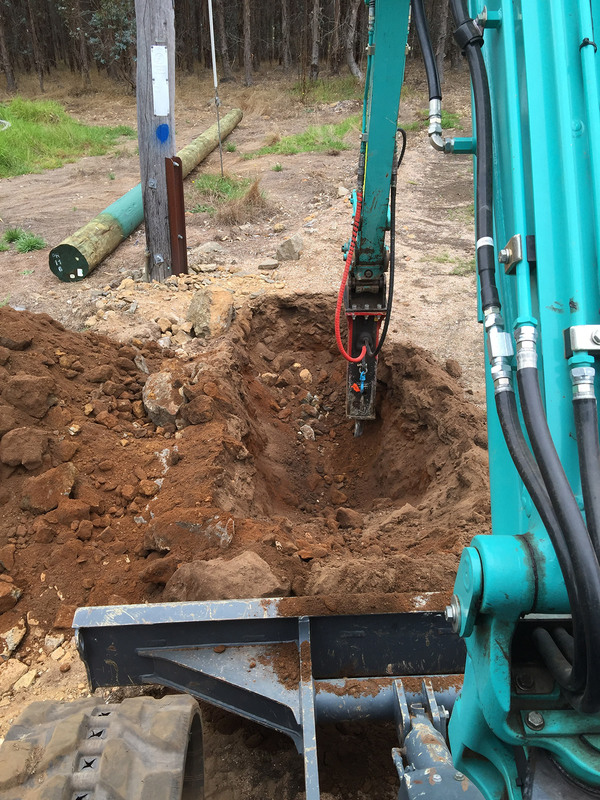 SSE Plant Hire supply ripper attachments in various sizes which can be hired in conjunction with an excavator or by themselves.  If this is the item you’re looking for – give us a call today on 08 9468 7140.  Don’t risk an important project on inexperienced service providers. Your project deserves efficient results, reliable equipment and plant attachment hire that won’t cause stress or delays, and quality advice from highly experienced trade masters in the field. At SSE Plant Hire, our dedicated operators provide streamlined, efficient service solutions for any project required across Western Australia. Our services ensure customer satisfaction, superior results in meeting project requirements, and reliability to ensure timely completion of the project.  Contact the team at SSE Plant Hire today for the ultimate selection of attachments and accessories for hire in Perth, Rockingham, Joondalup, Mandurah, Freemantle and surrounding regions.